The NexiusZoom stereo microscopes from Euromex in the Netherlands enable examination in two and three dimensional images with precision optics for the most demanding applications. These high level zoom microscopes are ideal for inspecting all kinds of material surfaces, and preparing biological samples. NexiusZoom is available with either binocular or trinocular tubes and a choice of stands and objectives, with or without illumination. This model is configured with rack and pinion type stand and 3W LED illumination. The optical system of NexiusZoom is based upon the Greenough principle with a 1:6.7 zoom objective providing magnification from 6.7x to 45x with the standard objective and up to 180x with auxiliary lenses. The result is a large working distance of 110mm and field of view from 33m to 4.9mm. All lenses are anti-fungus treated and anti-reflection coated to maximise light throughput. Illumination is provided by two sets of 3W LED in both incident and transmitted sub-stage configuration. Both illuminations can be used together and the light intensity can be adjusted separately. Euromex offer a range of accessories including digital cameras, eyepieces, objectives and lighting. 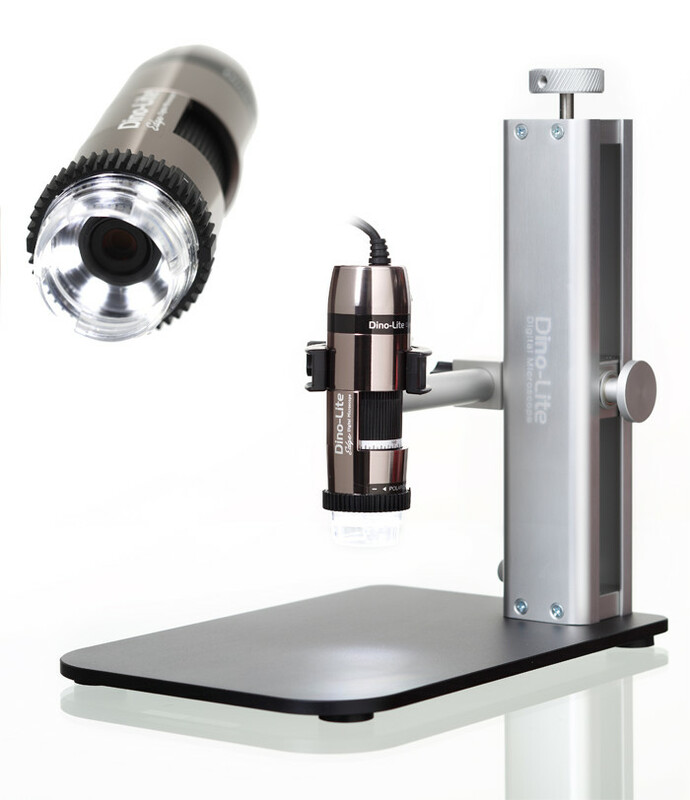 We have selected some of the more popular optional items for this microscope which can be found on the Related Accessories tab above.